MacAllister Machinery is a Genie dealer offering an extensive selection of machines designed to solve challenges in a variety of industries. We carry scissor lifts, telescopic boom lifts, articulated boom lifts, personnel lifts and towable lifts in a range of sizes and configurations. Whether you work in construction, entertainment, industrial, warehouse, retail or any other industry that requires the productivity of top-quality aerial lifts, we’ll help you find the Genie equipment suited to your requirements. Genie aerial lifts are manufactured to strict quality standards and come loaded with innovative features that help reduce costs and maximize your return on investment. In addition to being a go-to source for new Genie equipment sales, we also provide economically priced used machines and flexible rental solutions. 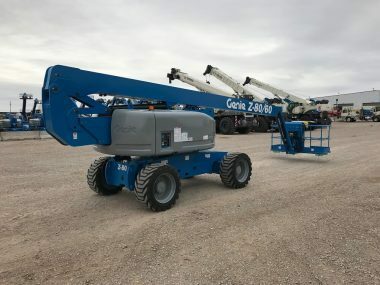 We are a full-service Genie dealer carrying an array of aerial lift models for placing workers, tools and materials at elevated positions with precision. Genie equipment has a reputation throughout the industry for delivering exceptional performance and reliability with minimal maintenance expenses and extended service life. Scissor Lifts: Genie slab and rough terrain scissor lifts provide an indoor or outdoor elevated work platform solution offering the speed, capacity and stability to increase productivity in the most demanding applications. Telescopic Boom Lifts: When you’re looking for impressive horizontal outreach while working in tight and confined spaces, Genie telescopic boom lifts come in a broad range of model sizes to efficiently meet your requirements. Articulated Boom Lifts: The articulating Z-boom lifts we carry can be precisely positioned around jobsites and offer the up-and-over capabilities to access difficult areas and avoid potential ground-level and overhead hazards. Personnel Lifts: MacAllister offers aerial work platforms with a light weight and compact size for exceptional safety and versatility for construction, maintenance and installation jobs in schools, warehouses, retail stockrooms and other locations. Towable Lifts: Towable Genie lifts are an ideal solution when you require outstanding up, out and overreach capabilities in a lightweight and efficient package that can be towed behind most trucks or SUVs. Our Genie rental lift equipment provides a cost-effective way to access top quality equipment on a temporary basis. We offer flexible short- or long-term contracts so you can subsidize your fleet and take on more work and a broader range of applications. Our late-model units are serviced and maintained by experienced technicians to ensure peak performance. If you’re looking for a reliable piece of equipment at an economical price, shop our selection of used Genie lifts. We carry low-hour, well-maintained units thoroughly inspected by highly trained technicians and a broad variety of models to meet your unique project requirements. Our sales team will assist in analyzing your needs to identify the used Genie equipment that makes the most sense for your business. 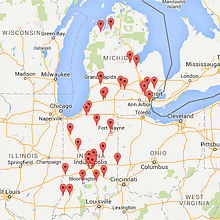 Whether you need a new aerial lift or a used or rental solution, MacAllister is your one-stop shop. Contact us today for more information and assistance in placing your order.